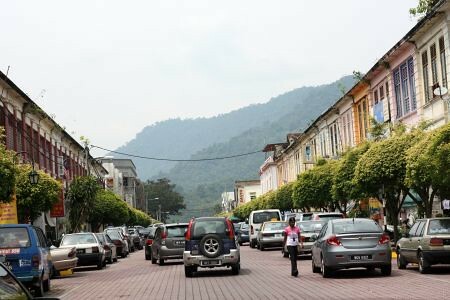 KUALA Kubu Baru’s claim to fame is that the small town in Selangor is the jump-off point to Fraser’s Hill. It has always played second fiddle to the hill resort though it has its own simple attractions for those who seek a pleasurable outing. Fraser’s Hill towers above this rustic town dotted with matured trees with canopies that provide shade from the sun. 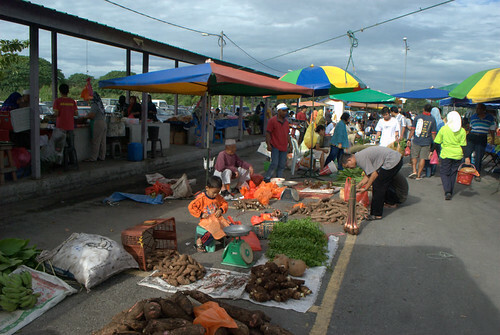 The biggest attraction in Kuala Kubu Baru is the early morning Farmers Market which is held daily but it comes alive particularly on weekends and public holidays with the added presence of out-of-towners who don’t mind travelling out of the way to enjoy simple local food. Here you can find nasi dagang, nasi lauk, garlic murukku and various traditional kuih like tepung bungkus, which is always available at this market. Elsewhere, tepung bungkus is usually sold during the fasting month only. The fun begins with the drive along the old road to Kuala Kubu Baru. If you’re driving from Kuala Lumpur, the journey takes slightly more than an hour. It is best to start early in the morning to enjoy the view of mist-covered greenery of the main range and smaller hills enveloped by passing clouds. You can wind down your car windows as the air is cool in the morning. The weather and “feel” of Kuala Kubu Baru are very similar to that of Taiping. It rains here often especially in the late afternoon (another reason why you should get an early start). In any case, the market starts as early as 6.30am or 7am and packs up by noon. 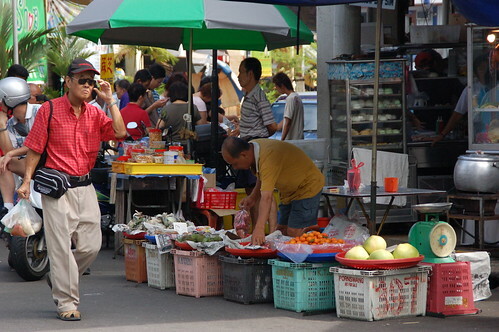 At the market, expect to join long queues especially at popular stalls selling local delicacies. Kelantanese Norhayati Hassan, who sells nasi dagang, nasi kerabu, nasi lauk and laksam, says business is very good on weekends. The scene at the farmers market will be similar to this one. Customers form long lines to buy her nasi kerabu and nasi dagang, served with ikan tongkol curry, pickled garlic and a special sambal cooked with a family recipe. The rice dishes are sold from RM2, depending on what dishes you choose. Those who love traditional kuih will not want to miss the tepung bungkus. It is made from rice flour with brown sugar and coconut filling and wrapped in coconut leaf. If you love this kuih, look out for Fatimah Hassan’s stall. She makes and sells it daily with other traditional delicacies but her best-seller is still tepung bungkus. Each piece of tepung bungkus is sold at 30 sen, and on weekends, Fatimah, whose stall is next to Norhayati’s, sells some 200 pieces. Bargain is a typical scene. Another popular stall is that run by Thinagaran Ayasamy who sells both normal and garlic-flavoured murukku, pakora, omopoddi and other fried Indian delicacies. These are made by his maternal uncle in Cheras and they are sold at RM1 per 100g. “We have been running this stall for over 10 years. Initially, we sold sugar cane water and young coconut water. When my uncle started supplying the fried delicacies to us, we decided to sell them at the stall too,” he says. At Haji Moin Shamsuddin’s stall, you will find many varieties of salted fish and dried prawns – all brought in from Tanjung Karang, Selangor. Among the items on sale are salted ikan kurau, ikan parang and black pomfret – yes, black pomfret, which is a rare find as far as salted fish is concerned. A big salted black pomfret costs less than RM7. While the market offers many local delicacies, those planning to do their marketing here can also buy fresh vegetables, seafood and fruit at very affordable prices. From Kuala Lumpur, you can take the scenic old road to Kuala Kubu Baru. Those who take the North-South Highway can exit at the Rawang interchange. From there, the road will rejoin the old road to Kuala Kubu Baru. The Farmers Market is located opposite Maybank in the centre of town. Previous post: Go Where The Pepper Grows!